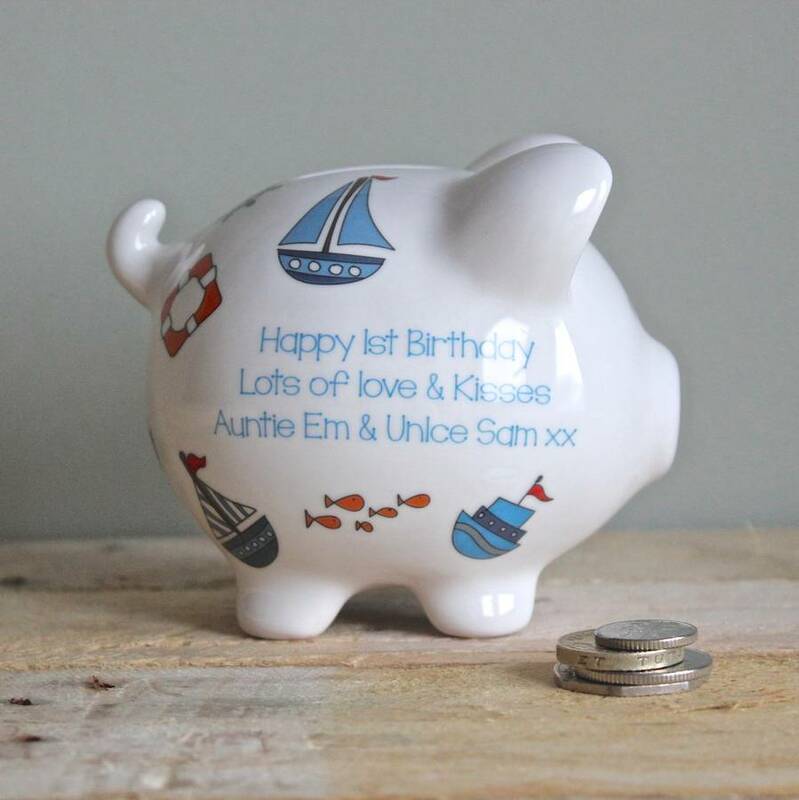 Our beautiful ceramic piggy bank featuring a classic hand-drawn nautical seaside design makes the perfect gift for new babies, birthdays and christenings. 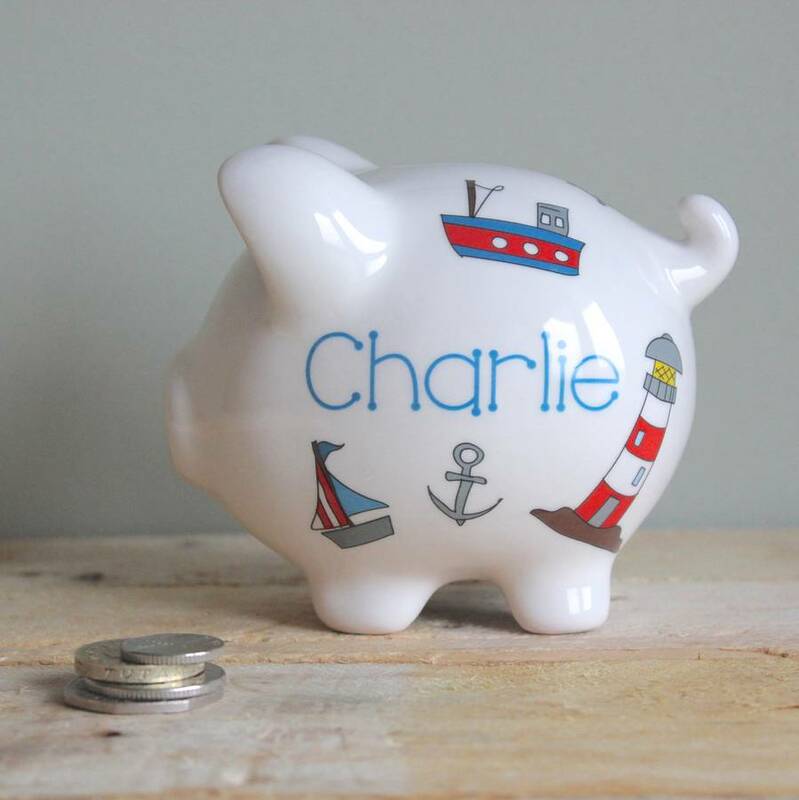 Kids just love our personalised piggy banks, and this hand-drawn seaside design featuring a lighthouse, boats, anchor and fish is very popular with our customers who buy our piggy banks for a range of occasions - christenings, birthdays and new baby gifts. We also find them very popular as thank you gifts for bridesmaids and page boys. Keep your pennies ship shape in our super personalised nautical piggy bank. The design includes lighthouse, anchor, ships wheel, fish and lots of boats.